We love stories. Stories bring us together, strengthen our bonds, and make change possible. At Concept Blue Media, we tell your story in innovative and creative ways. With more than two decades of combined experience, we master strategic communications, media outreach, web development, design, and social media to tell your story in an authentic way. Let us help you tell your story so that you can get back to the work that matters most to you. Olivia Hwang has more than 10 years of strategic leadership in public relations, media management, crisis communications, and marketing. She’s led reporters through knee-deep oiled marsh grasses, helped them find killer subject-matter experts, and released rehabilitated sea turtles back into the Gulf of Mexico. 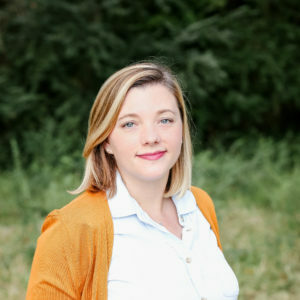 Formerly the Communications Director for Dana Wachs for Wisconsin, Olivia also led communications for the Wisconsin Assembly Democrats in the Wisconsin Assembly Minority Leader’s Office. Olivia held several other statewide and national communications roles, including vice president of communications for Choices Coordinated Care Solutions and director of media and communications for the Louisiana Department of Health, the state’s largest public agency with more than 5,000 employees and a $9 billion annual budget. Olivia owns and operates Concept Blue Media with her business partner and husband, Nick Hwang. 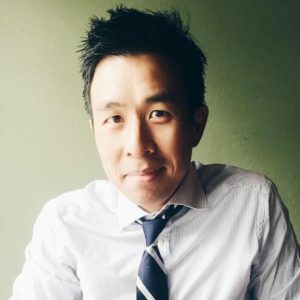 Nick Hwang is Concept Blue Media’s co-founder and leads the team’s graphic design and web development projects. Nick has more than 10 years of experience working for clients such as the Louisiana State University Library, New Leaders Council Wisconsin, and Wachs for Wisconsin. Nick is also a composer and sonic artist whose work explores connections in art, technology, and interaction. He is currently an Assistant Professor at the University of Wisconsin at Whitewater. Nick earned his Ph.D. in Music Composition and Experimental Music & Digital Media at the Louisiana State University. Nick holds a Masters degree in Music Composition from Louisiana State University and B.A. in Theory and Composition from the University of Florida. 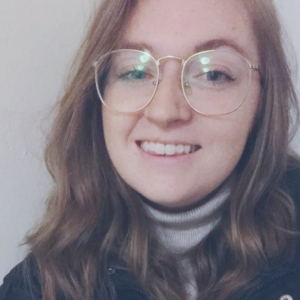 Erin MacLaughlin has been working in politics since 2015 when she started interning in public affairs at Planned Parenthood Wisconsin. She has since worked in finance on various political campaigns, including for Senator Tammy Baldwin and for congressional candidate Tom Nelson. After graduating from Lawrence University in 2017 with a degree in Biology and Government, Erin moved to Madison, Wisconsin where she became the Deputy Finance Director for the Wachs for Wisconsin campaign and met Nick and Olivia. She now lives in Chicago and can typically be found listening to podcasts, eating donuts, and drinking decaf lattes all while pursuing a career in all things marketing, social media, and communications. Want to join our team? We hire freelancers and paid interns. Send us your resume at info@conceptbluemedia.com.